Benefits of a wet room! There was a time when a wet room was considered to be the preserve of the very rich. A little taste of spa-like indulgence which made your bathroom a haven rather than a practicality. But, with the increasing popularity of wet rooms, the costs of having them installed have come down, making them a much more accessible luxury and leading more and more people to have them fitted in their homes. Instead of having a shower which is separated from the rest of your bathroom by an enclosed shower cubicle or curtain, a wet room effectively becomes the whole shower, with the whole room tiled and waterproofed to ensure no damage or leaks and the floor angled in such a way to ensure effective drainage. Not only is it a stylish and contemporary look which is perfect for a second bathroom in your home, the benefits of a wet room are well worth considering if you’re looking to make some changes to your interior design and bring it bang up to date. It has to be said, there aren’t many people who would consider cleaning a bathroom to be fun. In fact, with the massively busy lives that we seem to lead, it’s a time consuming chore that we could all do without. 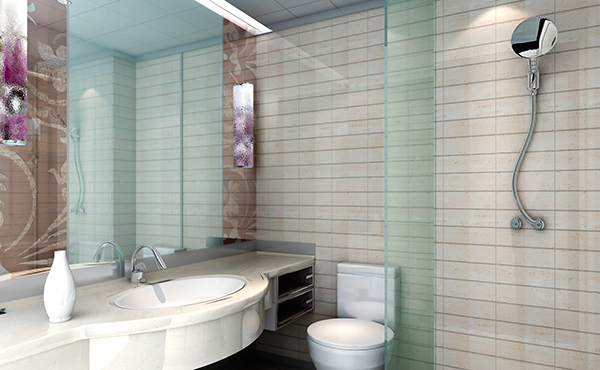 In many bathrooms there are areas which are waterproofed and areas which aren’t, so you have to beware. This means when cleaning and sloshing water about, you’ve got to tread carefully, as the last thing you want to see is a leak. A professionally waterproofed wet room is compact and easy to clean, as there are no awkward corners, ledges or surfaces to get to. There’s no need to remove half the contents of your bathroom from dusty shelves before you can get started either – the tiled walls and floor just need a good hose down. Another great benefit of having a wet room is the easy access for elderly and disabled people. A wheelchair can easily be manoeuvred under the shower in a wet room to make washing easier and for people with mobility problems, there is no step up into the shower which can prove impossible. Also, for people who have elderly parents living with them, this can be an excellent option which will give peace of mind in knowing that loved ones can have access to the facilities they need without causing danger or difficulty in the process. The biggest concern with having a wet room installed is making sure that it is has effective drainage that will take the shower water away – so the floor needs to be angled suitably in order for this to happen. Also it’s vital to ensure that the room has been made watertight to avoid costly leaks further down the line. That is why, if you’re looking to start building your wet room today, it’s always a good idea to get someone in who is professional, experienced and well qualified to help you get the work done. Give us a call today to find out how our plumbing services can help you create an indulgent living space in your bathroom, by fitting your very own wet room. This entry was posted in Plumbing Services on September 4, 2015 by Dean Oram.